What is a “Waiver of Rights”? The judge will verbally go through the waiver of rights with each defendant individually. The defendant's attorney will verbally go through the waiver of rights with his/her own client. The defendant goes over a written form with his/her attorney and signs prior to the Court accepting a plea. 1. I know that I am charged with a crime for which I could be put in jail. (a.) The right to a trial by jury of 12 fair and impartial citizens from ____________ County chosen randomly from the rolls who are eligible to vote and drive and who unanimously would have to find me guilty or not guilty. (c.) The right to face and cross-examine the witnesses against me. (d.) The right to call witnesses on my own. (e.) The right to testify in my own defense. (f.) The right to remain silent and not have that silence considered against me. 3. If I am not a citizen of the United States, I am aware that this plea could affect my immigration status in this country, and there may be additional consequences such as deportation, detention or ineligibility for citizenship due to my guilty plea. 4. If I am currently on parole or probation, this plea could affect that probation. 5. Read each Statement and initial the boxes as they apply to you. 6. I certify that I have not been threatened or forced by anyone to enter this plea, and I am not under the influence of any drug, alcohol, or other intoxicant at this time. 7. I have had the opportunity to fully consider this decision, and I enter the plea of guilty freely and voluntarily because I am guilty of the crime(s) with which I am charged. I understand that the judge will likely accept my guilty plea and then will then sentence me. 8. I am satisfied with the services of my lawyer. 9. I understand the plea agreement which has been announced in open Court. Other than the plea agreement, I certify that no one other than a representative of the State of Maryland has made any promises or inducements to cause me to plead guilty or to indicate what sentence I may receive. 10. These matters have been explained to me. 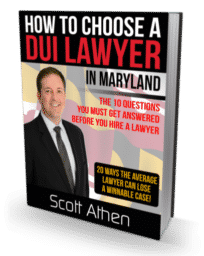 Are you currently charged with DUI, driving while suspended (DWS), speeding, or any other traffic-related offense, get your case evaluated by Scott Athen. Scott, please take a look at my case! 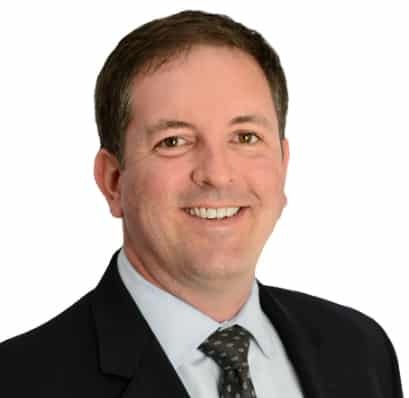 Husband, father of 2 awesome daughters & DUI lawyer. I bleed orange in the summer, purple in the fall & camo during goose season!